The production-sharing agreement with Somaliland shows that DNO's appetite for risk remains undiminished. The company's core assets lie in the Kurdish region of Iraq, an autonomous region locked in a dispute with the central government over the contracts it struck with international oil companies. Somaliland is an unrecognised self-declared sovereign state. Its relationship with Somalia is fractious. 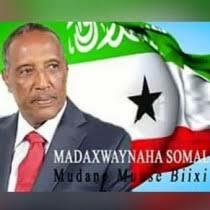 Yesterday, Somaliland's president, Ahmed Mohamed Mohamoud Silanyo, said his government would not take part in negotiations with Somalia to be held in the United Kingdom, as its neighbour did not recognise Somaliland. The deal is the third with international oil companies, said Hussein Abdi Dualeh, Somaliland's mining, energy and water resources minister. "This contract is further proof of the confidence international investors have in Somaliland as a frontier exploration destination." Somaliland hopes to become part of an oil and gas boom in Africa. Large gas reserves are being tapped in Mozambique and Tanzania, oil production is increasing in Ghana, and finds have been made in Kenya's Rift Valley. These countries are set to join established producers such as Nigeria, Angola and South Sudan. The renewed push into Africa is led by smaller players such as the UK's Tullow Oil and Anadarko from the United States. DNO's production is focused on the Kurdish region of Iraq, where it jointly operates the Tawke oilfield with Tony Hayward's Genel Energy. The company's 55 per cent stake in Tawke gave it a working interest of 38,000 barrels per day last year. But as the central Iraqi government does not recognise the oil concessions handed out by the Kurdish Regional Government, payments to oil companies in the region have fallen well short of contractually agreed amounts. DNO finances have suffered from intermittent payments, and the disagreement between the Kurdish authorities in Erbil and the central government in Baghdad looks set to continue. The company is also searching for oil in block in Oman, Yemen, Tunisia and the UAE.